IBM will launch a range of servers that process data faster (and 20% less expensively) than Intel Xeon v3 Processor-based servers, the company said in a statement. The Power8 processor-based servers, which IBM will make generally available at the end of the month, are built to handle big data workloads. IBM claims the servers, particularly the top-of-the-line GPU-accelerated S824L, can run millions of data computations in parallel. IBM will also launch the Power System S822L, which is built to deploy NoSQL databases at a lower cost by combining Redis Labs software, Canonical's Ubuntu Linux operating system, and Altera's FPGAs with IBM's FlashSystem 840. The cost savings occur because the combined systems enable one server to be used to manage an infrastructure typically required for two dozen Intel servers, IBM said. The new Power E870 and Power E880 Systems offer support for up to 1,000 VMs per system. Companies can choose from 32, 40 or 48 processor cores and up to 4 TB per compute node. IBM sold its x66 server unit to Lenovo for $2.1 billion in January. As part of the acquisition, IBM relinquished its System x, BladeCenter and Flex System blade servers and switches, 86-based Flex integrated systems, NeXtScale and iDataPlex servers and associated software, blade networking and maintenance operations. IBM remains a major server manufacturer with the following lines-of-business: System z mainframes, Power Systems, Storage Systems, Power-based Flex servers, Pure Application and PureData appliances. Worldwide server revenue is expected to eclipse $50 billion worldwide in 2014, according to IDC. HP is the market leader in the space, with 25.4% of total revenue. 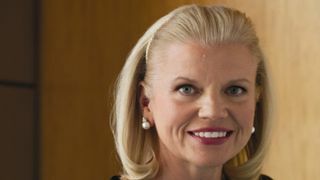 IBM, which is a close second at 23.6%, saw revenue decrease 10% in Q2.